Greeks were the first ones to talk about Hyperborea, but there are proofs coming from other civilizations from ancient China and Russia. People from different points of the planet have registers from the same civilization that, theorically, was thousands kilometers far away from them. The answer behind this question is something that I will revealing slowly in ‘Hyperborea Exist’. Everyone agrees in the same, Hyperborea was a really ancient civilization, light years far away from the rest of humanity. Its inhabitants were very intelligent and they were strong people, having an iron health and living for more than 1 thousand years. Their island, known as the island of the forever sun, never saw the sun fade, thats one of the reasons of thinking that its localization was somewhere in the boreal side of Earth. They had a benevolent climate allways, protected from the the icy cold that was striking the rest of the world. Something happened, in a moment of its history, Hyperborea was deleted from Earth. There are many theories, starting from the ones that says that had the same fate as Atlantis, the water ate the island, or a misterious tragedy, a forced exile. All of these theories are just that, theories, there’s no clear proof or register about what could happen. But there’s a clear data, the fact that people from different points of the world have registers about the same misterious civilization. That something that makes you think, how is possible that different people from civilizations distant for thousand of kilometers have similar registers of the same ‘myth’? Is that possible that there was a tragedy foreseen with time and that Hyperborean civilization choose to exile to different points of the planet? What could be behind that a growing civilization, the most advanced of humanity, flee its home place and decided to hide any proof of its existence? These are some of the main questions that wise people from all around the world have done since more than 3.000 years. 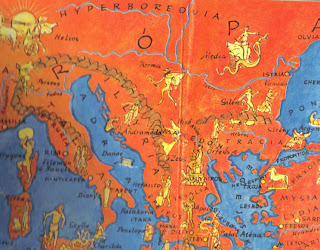 Another one of the main questions related to Hyperborea its its age, in all registers there are talks about a civilizacion far away of all record, older than any of the first sedentary civilizations born in the ancient Mesopotamy. We have to face the dilemma of the existence of a human group with an advanced society, able to build and craft advanced tools, ships and buildings while the rest of humanity was living in caves and using hides as clothes. Some investigators have some theories about a new breed of humans. As many scientits have talk about the coexistence of Homo Sapiens Sapiens with Homo Neanderthalis its possible that we have been missing a third “Homo Hyperborean”. But again we return to the question, Why the most advanced human race dissappeared in front of one less advanced? Sincerely, with my blog I want to be distant from these that says that Hyperborea myth is related with aliens, hollow earth of goblins and magic or the lately more common stories about nazi investigations during the first part of 20th century. If well it’s true that some of these legends could have some similarity as the ones about Thule Society or another stories about the super man myth, my criteria is to work only with archaeological proofs that could show us exactly the existence of this civilization. How to find archaeological proofs from a civilization that is supposed to no exist since thousands of years ago and that was deleted from Earth? Well, along this year I’ll be digging about this question. But If we start from the main clue that people from different points of the world had some contact or register, being legends or wise man talks or texts, about Hyperborea we can think that was a civilization with a great capability to travel across the sea. They had to stablish sea routes and that could have led to possible shipwrecks. Its in the deep ground of our oceans and seas where we can find the answers of the questions about this enigma. In the last years I have found many proofs in this regard in different submarine investigations that I have done both in Norway and Findland. But this is something really big that would need entire updates of my ‘Hyperborea Exist’. 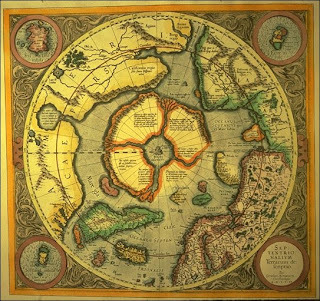 Hyperborea is a myth pursued by many people during our modern history, some fanatics for the search of the super human idea and the profit that they could take of the knowledge from this lost civilization. Others, like me, we only follow the seek of knowledge and exploration to share with the rest of humanity the history of maybe the first advanced civilization of our planet. I encourage you to continue this trip with me and discover all my advances and discoveries in Hyperborea Exist. What do you think? 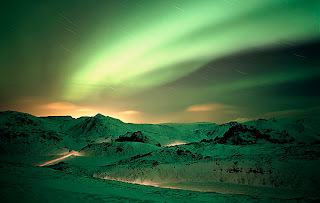 It's Hyperborea a myth? A legend? An historic reality which is still missing proofs?